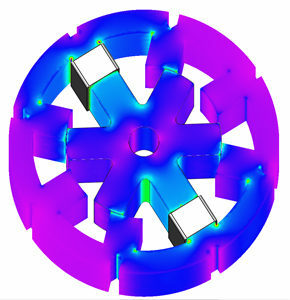 Define a set of coils wound onto the device, number of turns in a defined area and multi-phase systems with delta/star connections. Analyze resistive and inductive requirements, eddy currents and proximity effects. Coupled series and parallel connections with additional circuit elements. Identify a set of coils, attach them with the right polarity and assign them to a winding with the required source while designing motors, transformers, sensors and many other devices. Determine true resistance and impedance under high frequency conditions. Find ways to omit secondary features in order to produce a model which is feasible for solution in a reasonable amount of time. Avoid inefficient and expensive trial and prototyping and improving product design. INTEGRATED has “Best of Breed” tools that cover the range of physical systems involving magnetic, electric and high frequency fields as well as transient and eddy currents. Designs can be optimized successfully using API/parametric and/or scripting capabilities. Utilization of BEM also allows for the modeling of true geometric curvature rather than straight line approximations required by other models.